Thanksgiving is right around the corner, and we know getting ready for holiday meals can be exhausting. Planning dinner for all of your friends and family members is a big undertaking, whether you’re well prepared or working with a shorter time frame. Fortunately, we’ve taken the time to hand-pick our favorite mobile phone apps that will give you a boost this holiday, whatever your situation. From pumpkin pie to green bean casserole, these are the best apps for Thanksgiving 2018. Butterball is one of the best-known turkey brands in the United States and one that you shouldn’t forget this Thanksgiving. Butterball Cookbook Plus is packed tons of recipes that will keep your turkey-cooking game on point, whether you’re looking to keep things classic or spice it up this year. With helpful resources like cooking videos, calculators and conversion charts, you won’t want to sleep on downloading this app. Get it on iOS or Android. As one of the leading shopping list apps, AnyList can help you organize all the ingredients you’ll need for the upcoming holiday. 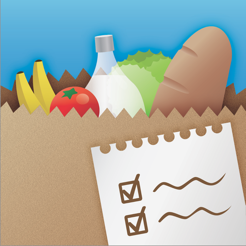 This app is excellent for (you guessed it) organizing multiple lists, from grocery items to recipes to simple To-Dos. Simply enter in each item you need to keep track of, and AnyList will do a great job of keeping you coordinated during this busy season. No matter how many people you’re cooking for, AnyList has got your back. If this is your first year helping out in the kitchen, check out How To Cook Everything. This app will make Thanksgiving dinner a breeze with over 2,000 recipes at your fingertips that will give you all the help you need from preparation to the finishing touches. Don’t worry about your mashed potatoes coming out bland when you when can take a few tips from How To Cook Everything. If saving money is on your grocery list this year, look no further. Grocery Pal not only helps you create an organized list of everything you need for Thanksgiving - but it also finds the best deals in your area. Save time by cutting the coupon cutting and keep some cash in your back pocket for the upcoming gift-giving season. Thanksgiving is in two days. You’re cleaning the house in preparation for friends and family to arrive. You’re tired, and now all you have left is… grocery shopping!? Yeah, we’ve all been there. Want to feel slimmer after Thanksgiving dinner? Jump back to our Summer Fitness Apps Blog to get some tips.